Are you all as excited as I am for holiday baking? I’ve always enjoyed helping in the kitchen and grew up baking alongside my mom and grandparents and now I get to pass along the tradition with my boys. 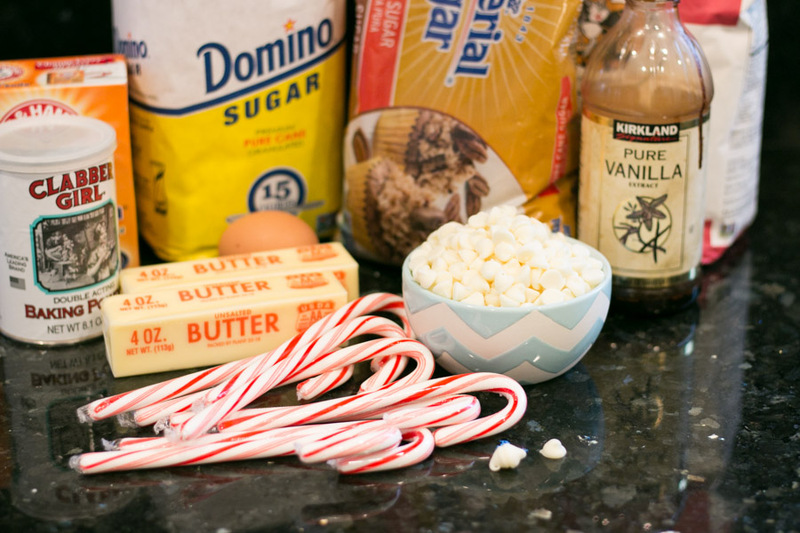 These White Chocolate Candy Cane Cookies are super simple to make and the flavor and texture is spot on! A perfect addition to your cookie tray. 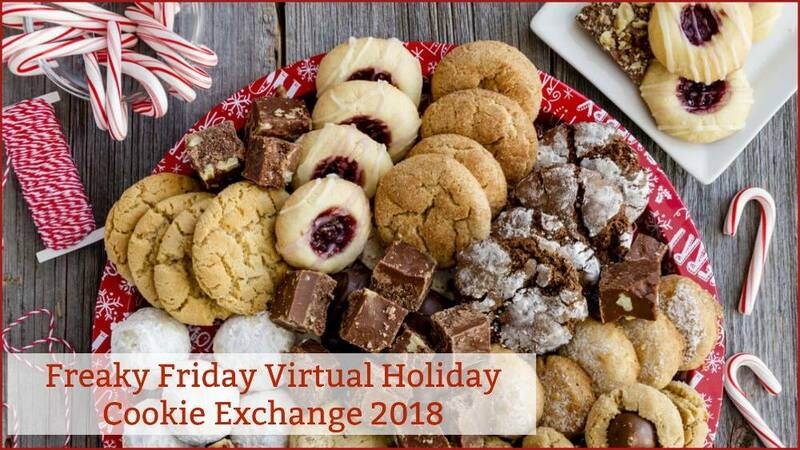 Today is a really fun day… its our Freaky Friday Virtual Holiday Cookie Exchange recipe swap! A bunch of my fabulously talented blogger friends and I get assigned a blog to choose a recipe from then create and share with our readers. We don’t find out who we’ve been assigned until today! I was lucky enough to be assigned the incredible Lisa from Lisas Dinnertime Dish! 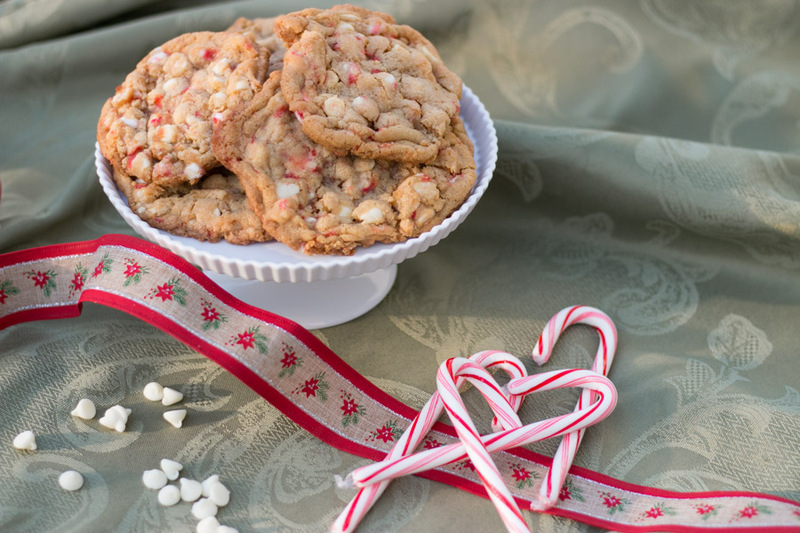 Her recipes are always delicious and these White Chocolate Candy Cane Cookies were calling my name- easy, festive, delicious! 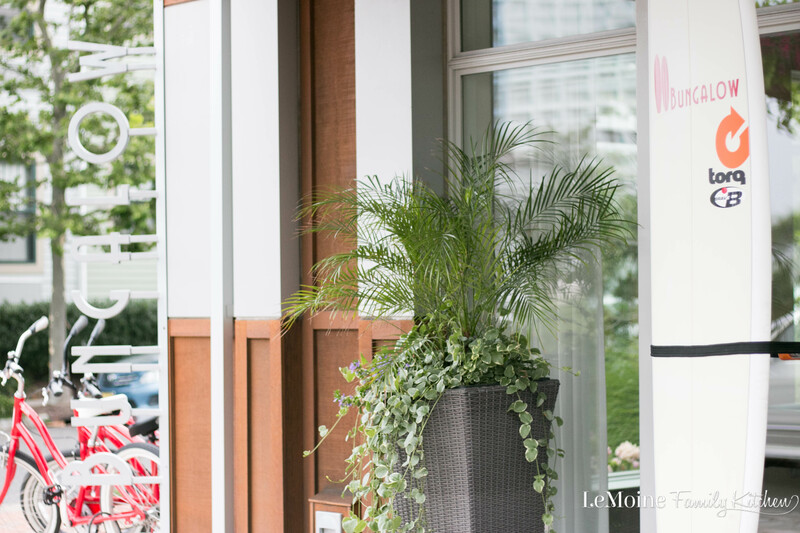 Lisa is an absolute sweetheart and I’ve been following her blogging journey for a long time! She’s a family gal- husband and 3 kiddos. 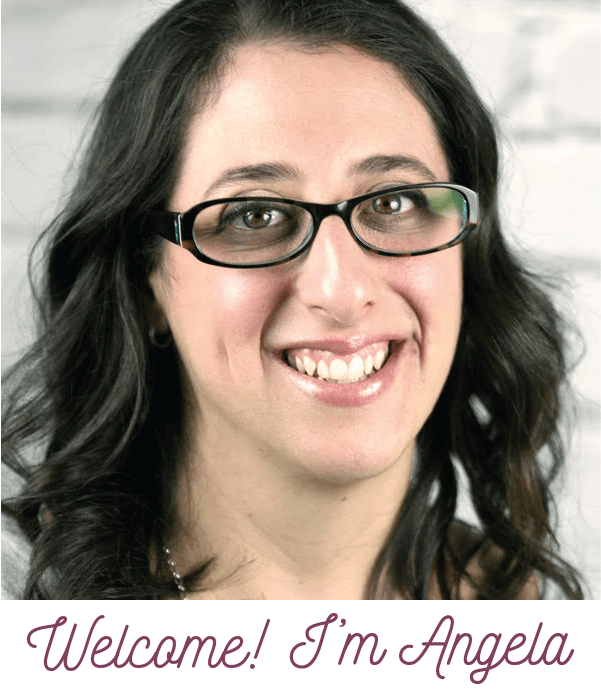 Her passion for good food is clear when browsing her site. I had so many great recipes to choose from like her Glazed Double Chocolate Cherry Cookies, Red Velvet Cookies and her Chocolate Caramel Crunch Cookie Bars! While I have no doubt these are all AMAZING, I really loved the sound of the white chocolate peppermint flavor combo. They are FANTASTIC my friends! The base of this cookie is very much like that of a regular chocolate chip cookie but this is no ordinary chocolate chip cookie because the white chocolate chips and candy cane bits make these a perfect holiday cookie! I LOVE the flavor and texture of these cookies and so did everyone that I shared them with. What are your favorites? My mom is famous for her Italian rainbow cookies which my husband looks forward to ever year. Another favorite around here are basic sugar cookies, pecan tassies, pignoli cookies and now these White Chocolate Candy Cane Cookies from Lisa! I cannot wait to see what everyone else has baked up for our virtual swap! Combine the flour, baking powder, baking soda and salt in a small bowl. Beat butter, sugars and vanilla together until creamy. 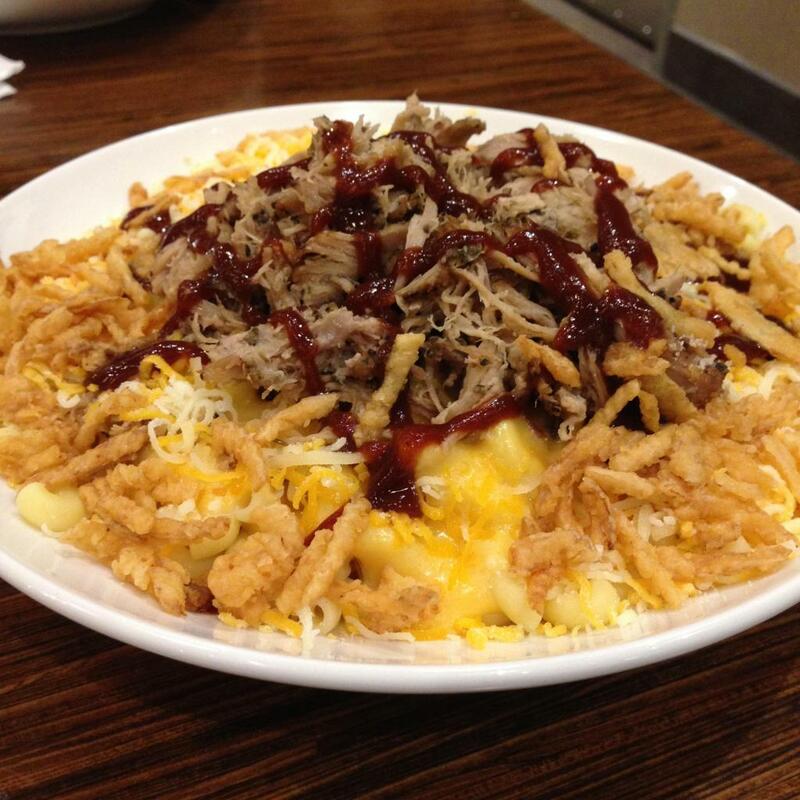 Slowly mix in the dry ingredients a little at a time. Mix in white chocolate chips and crushed candy canes. Let set for a few minutes and then transfer to a wire rack to finish cooling. 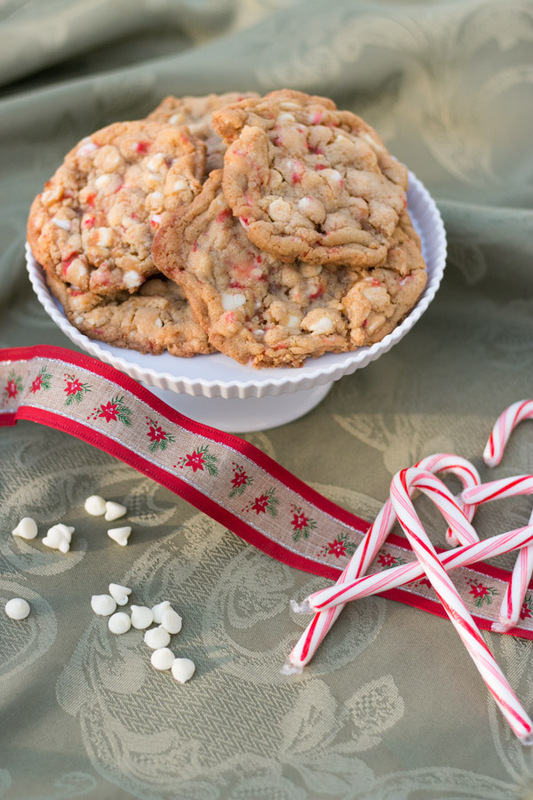 I love white chocolate and peppermint together and these cookies look so festive! Perfect for our cookie exchange! Candy canes are the perfect addition to any holiday treat! These cookies look mouthwatering, Angela!!! 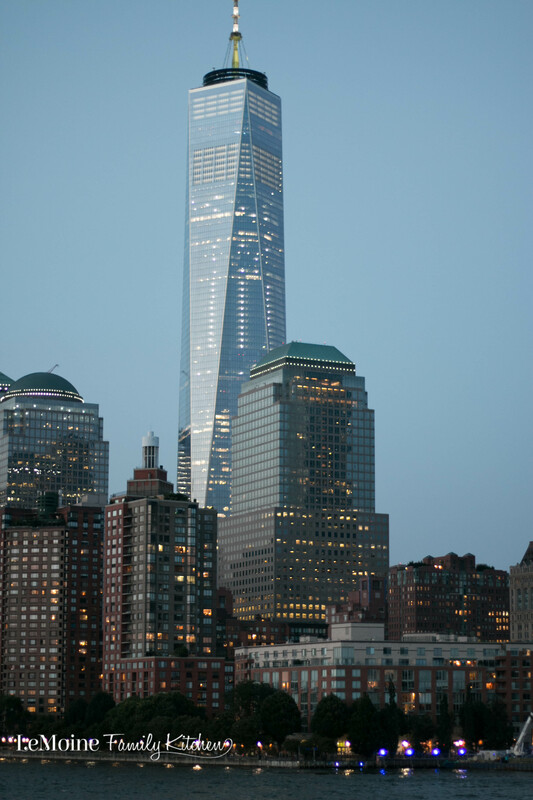 Wishing you and your family a wonderful holiday season! Everything about these cookies is so up my alley! I love peppermint and white chocolate together! These look great. And nice and easy. They will be a perfect addition to Santa’s Cookie plate! These look like the most perfect soft chewy texture…. and I love the peppermint candy cane in them! These will be going into my Christmas Cookie exchange for certain! So pretty for the holidays! 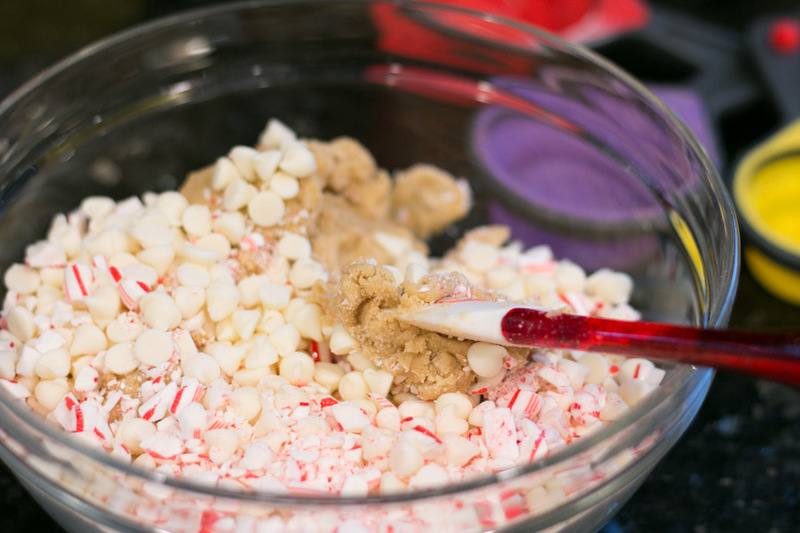 The texture must be amazing with the candy cane too – what a lovely holiday treat and perfect for my holiday baking! Thanks you for your kind words, Angela! I’m so excited that you chose these cookies, they are one of my absolute favorites! I’m loving these cookies! Classic holiday flavors, I know they’ll be gone in a fury at my house! Lisa does have some amazing cookies! And so do you! These are going front and center on my holiday dessert table! I am pretty sure Santa will be stopping at my house first!! I can’t wait to make these delicious cookies!